The fans of BTO are referred to as 'Gearheads'. This is derived from the band's gear-shaped logo. "Takin' Care of Business" is a song written by Randy Bachman and first recorded by Bachman–Turner Overdrive (BTO) for their 1973 album Bachman–Turner Overdrive II. The song is widely considered to be one of the driving anthems of rock, and features one of the most well known riffs in rock and roll. Randy Bachman had sung what would later become "Takin' Care of Business" while still a member of The Guess Who. His original idea was to write about a recording technician who worked on The Guess Who's recordings. This particular technician would take the 8:15 train to get to work, inspiring the lyrics "take the 8:15 into the city." The standard uniform worn by technicians at the studio was a white collared shirt, which inspired the title "White Collar Worker." In the early arrangement for the song, the chorus riff and vocal melody were similar to that of The Beatles' "Paperback Writer." When Randy first played this version for Burton Cummings, Cummings declared that he was ashamed of him and that The Guess Who would never record the song because the Beatles would sue them. Randy still felt like the main riff and verses were good, it was only when the song got to the chorus that everyone hated it. While BTO was still playing smaller venues in support of its first album, Bachman was driving into Vancouver, British Columbia for a gig and listening to the radio when he heard a particular DJ's (Daryl B) catch phrase "We're takin' care of business." Lead vocalist Fred Turner's voice gave out before the band's last set that night. Bachman sang some cover songs to get through the last set, and on a whim, he told the band to play the C, B-flat and F chords (a I-VII-IV progression) over and over, and he sang "White Collar Worker" with the new words "Takin' Care of Business" inserted into the chorus. After this, he rewrote the lyrics to "White Collar Worker" with a new chorus and the title "Takin' Care of Business." Along with this he wrote a revised guitar riff, which was the I-VII-IV progression played with a shuffle. 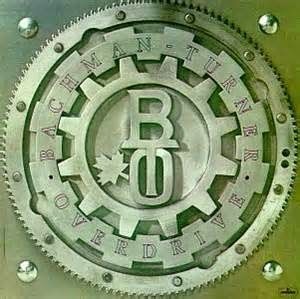 The song was recorded by Bachman–Turner Overdrive for their second album Bachman–Turner Overdrive II. It would reach #12 on the Billboard singles charts, #3 on the Canadian RPM charts, and become one of B.T.O. 's most enduring and well-known songs.